1. Line inside of hot dog buns with mayonnaise and sweet relish. Evenly add mustard. 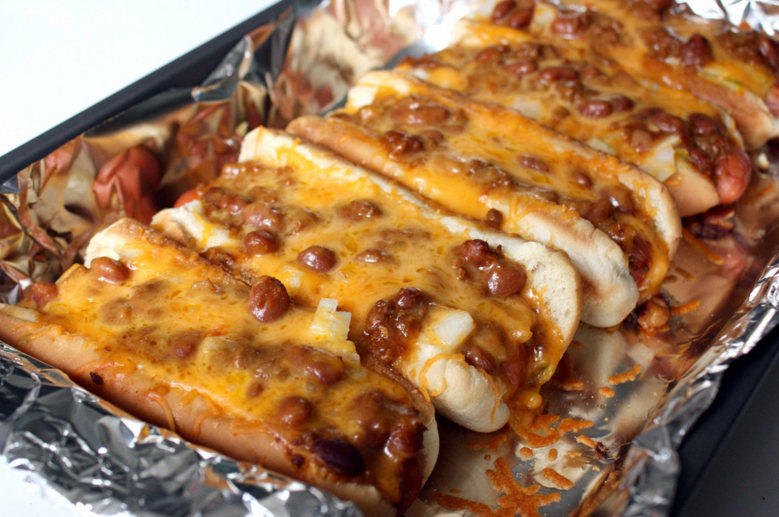 Fill with hot dogs and squish into a 13×9″ baking pan. 2. Top hot dogs with chili, cheese, and diced onion. Cover with aluminum foil and bake for 45 minutes.